If you’ve ever seen the Globe of Death, you know it’s one of the most dangerous and wild motorcycle acts in the entire world. Travelling at about 50 miles per hour, the performing riders twist and turn through a 15 foot tall steel cage, whipping by each other with just inches in between. Sounds a bit psychotic, right? Well, that’s why we’ve all grown to love it, and that’s why the job and the official Globe of Death team has stayed in-family for over 100 years! In fact, today’s Urias team riders are direct descendants of the act’s creator– Jose Urias. But even with the most skilled and prepared riders– people born and bred to perform– accidents do sadly occur from time to time. That’s what happened over the weekend. 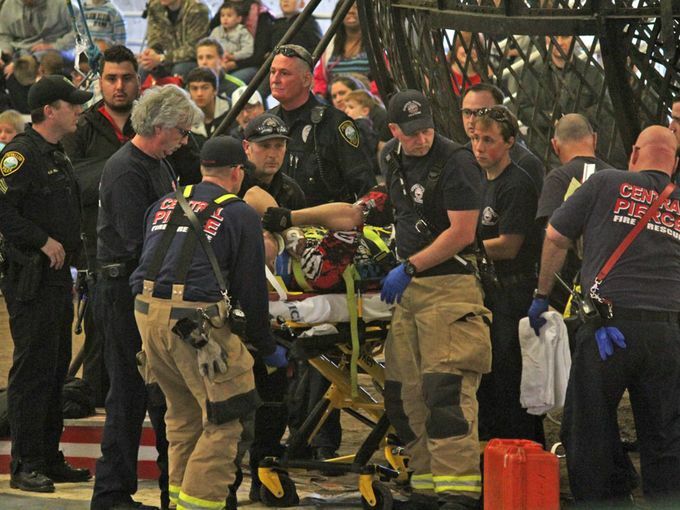 In fact, on Saturday at the Washington State fairgrounds, the three daredevil motorcyclists were involved in a horrifying accident that left two of the riders seriously hurt. 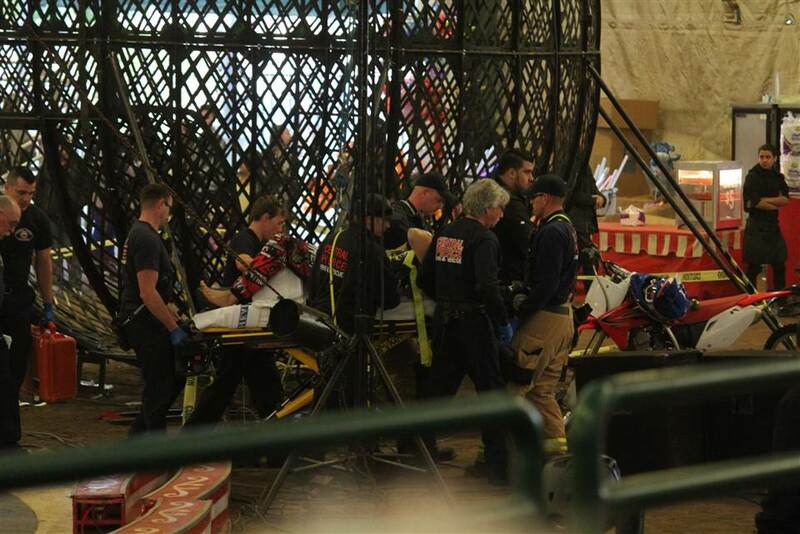 Video of the incident shows that one of the riders inadvertently fell while spiraling around the cage, creating a collision with the other two riders. According to reports, one of the riders had a fractured leg, one had a sore wrist and broken ribs, and the other– fortunately– was unharmed. As for the Urias family, they have yet to release a statement. But with their long lineage and proud heritage, we can rest assured that they will be back soon to perform their world famous show. This entry was posted in Culture, Motorcycle and tagged accident, globe of death, injured, Jose Urias, urias family, washington. Bookmark the permalink.